A few days ago, I ordered for the first time on eluxe.ca. I've been wanting a crossover small bag for a while and I've seen Rica wear hers for a while and just loveeee the overall look of it. So when I found out there was a discount code going on, I was ecstatic! This week is Toronto Fashion Week and MasterCard was the huge sponsor of the event. 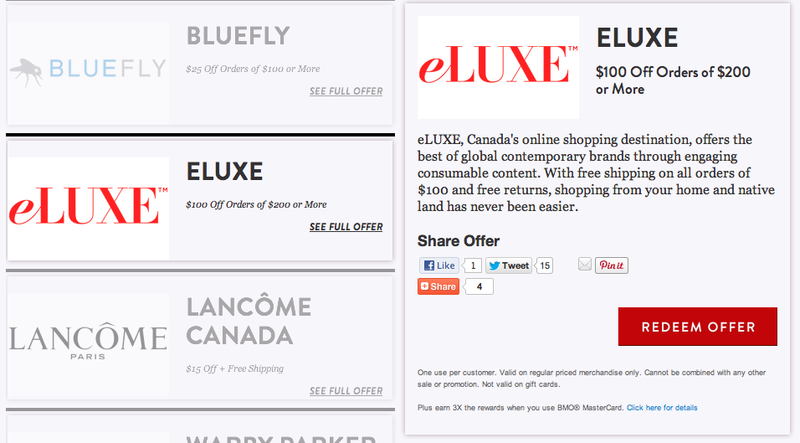 Along with that, I found tons of discount codes which included eluxe.ca! 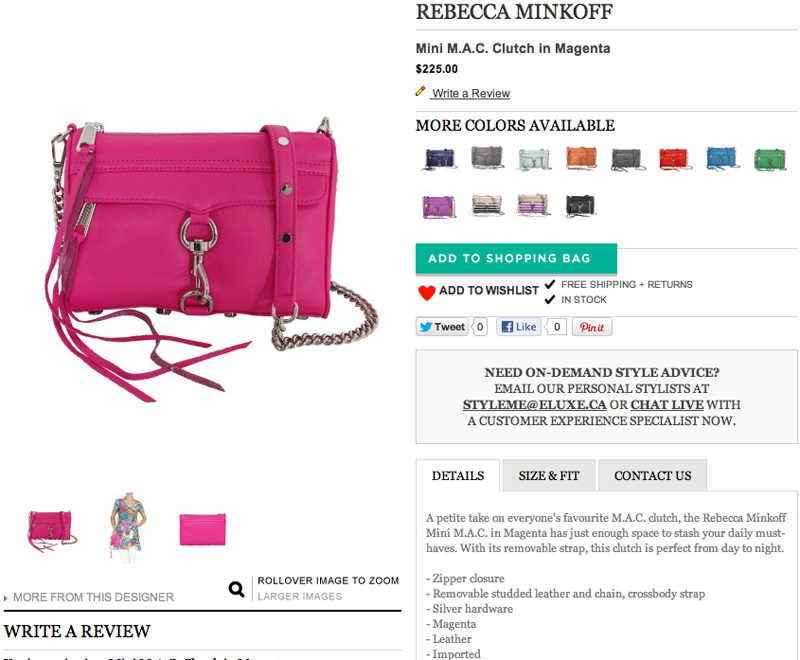 Honestly, it's not too bad of a deal (up to 50% off) considering most only websites include Rebecca Minkoff Website was selling the Mini Mac for $195 USD plus shipping and potential import taxes. The bag can be almost $250 +. From chatting with my girlfriends, most of them purchase this same bag with discounts and hardly at full price - I love shopping gossips! So after doing a quick 1 hour research, I knew I had to purchase it!! So on Monday night, after the first day of Fashion Week, I immediately placed my order! After taxes, the total came to about $141 CAD so it was a pretty good deal! Honestly, I didn't even expect that I will receive it during Fashion Week, I was only hoping that I can receive it before my cruise in April. However, I got my package Wednesday morning. It was like a 2 day delivery!! Right out of the box, it was wrapped in a reusable pouch bag.